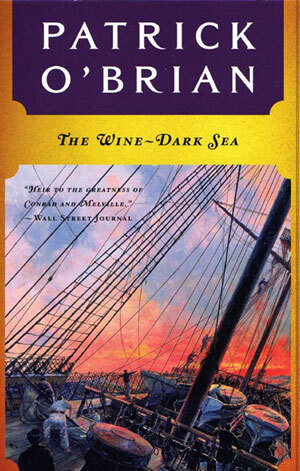 The sixteenth volume in the Aubrey/Maturin series, and Patrick O'Brian's first bestseller in the United States. At the outset of this adventure filled with disaster and delight, Jack Aubrey and Stephen Maturin pursue an American privateer through the Great South Sea. The strange color of the ocean reminds Stephen of Homer's famous description, and portends an underwater volcanic eruption that will create a new island overnight and leave an indelible impression on the reader's imagination. Their ship, the Surprise, is now also a privateer, the better to escape diplomatic complications from Stephen's mission, which is to ignite the revolutionary tinder of South America. Jack will survive a desperate open boat journey and come face to face with his illegitimate black son; Stephen, caught up in the aftermath of his failed coup, will flee for his life into the high, frozen wastes of the Andes; and Patrick O'Brian's brilliantly detailed narrative will reunite them at last in a breathtaking chase through stormy seas and icebergs south of Cape Horn, where the hunters suddenly become the hunted.